When was the last time you heard an Executive Director talk about dreaming and mean it? I don’t mean to be cynical, and I do in fact consider myself an optimist, but I don’t have the best perspective on the institutionalization of the nonprofit sector in the United States. I often feel like words such as “vision” and “dreaming” have become the stale objects of grant proposals. But over the last few days here in Brazil I have been reminded that these words speak of an essential power that makes us human, these are faculties inherent in our evolutionary thrust, and it is time to reclaim them. 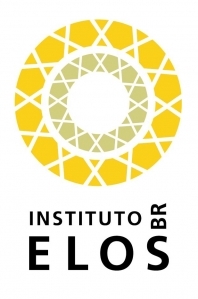 Led by Edgard Gouveia Júnior and a team of brilliant architects Instituto Elos has set out to make dreams possible again. Over the last few days I have witnessed the underbelly of this global capitalist system and human beings surviving under some of the worst living conditions many of us could imagine. This is where Elos has chosen to work. Edgar told me that he deeply believes in the symbol of the Yin and the Yang, he said that it is where darkness seems immutable that we find the brightest points of light. I was one of the lucky Bostonians to see Leonard Cohen (famed poet, folksinger and Zen monk) perform to a sold-out Wang Center audience this weekend. He is seventy five years old and noted that the last time he was in Boston was fifteen years ago when he was sixty and just “a kid with a dream”. There was a tremendous sense of the sacred in his performance, from the way in which he interacted with his back up singers and his band to the care and honor that he showed to the audience. In a New York Times article Cohen was quoted as saying: “There’s a similarity in the quality of the daily life on the road and in the monastery. There’s just a sense of purpose in which a lot of extraneous material is naturally and necessarily discarded, and what is left is a rigorous and severe routine in which the capacity to focus becomes much easier. And it was that sense of purpose and level of focus that was experienced in the concert hall and that monastics have been modeling through the ages: get rid of the extraneous; focus on the moment like a laser beam and you will be fully alive…hmmmmm…must try that…again and again and again! After the concert, I was prompted to go back to a Shambala Sun interview with Leonard Cohen that I read and that has stayed with me, it is about love and a very Zen understanding of life. In fact, Mr. Cohen appears to see performance and prayer as aspects of the same larger divine enterprise. That may not be surprising, coming from an artist whose best-known songs mingle sacred concerns with the secular and the sexual and sound like “collaborations between Jacques Brel and Thomas Merton,” as the novelist Pico Iyer put it. How do we apply THAT to Social Change? A beautiful example of the collaborative spirit through song. Must be seen beginning to end! Sitting in the Atlanta Airport with some random thoughts. Marianne and I worked with a pretty amazing group of LGBT Funders this past Sunday, talking about systems thinking and how it can be used to create strategies to move the community forward in these economic times. It was a wonderful and very inspiring session, in large part because of the amazing people in the room and their willingness to grab hold and go deep right away. I then went and spent a couple of days with old friends in Birmingham, Alabama – a wonderful time both because Dorothy and Cindy are such amazing humans, because we’ve now known each other for 20 years (we met in 1989 when I was helping bring the NAMES Project Quilt around the country), and because being someplace else often brings new things to light. One of those was that we went Monday and tried to visit the Birmingham Civil Rights Institute (which is, unfortunately for me, closed on Mondays), and instead walked through the Kelly Ingram Park across the street, the former staging area for large civil rights demonstrations where fire hoses and police dogs were set on the demonstrators, most of whom were children. The park is now full of amazing statues of the demonstrators and has been dedicated as “A Place of Revolution and Reconciliation,” words which are read throughout the park and at every entrance. The park is across from the Civil Rights Institute, kitty corner from the 16th Street Baptist Church and around the corner from the motel where King and others stayed in Birmingham. This is important history to me, and I’ve spent much time over the years reading these stories, learning about the people and events. To my friends, on the other hand, these were people they knew – or know now. The father of one of the girls who was killed in the bombing is a photographer they know well. Dorothy’s uncle was one of Rosa Parks’ attorneys – and almost every name and every picture is someone she knew or knows. The stories and people are alive and contextualized as she talks about them. It is not history from a book or a documentary, but a part of her life. As, when the movie Milk was playing last year, many of the “characters” are people I know. Real people who were involved in making change. So again and again and again, it is people’s stories that light my imagination, that show that change is possible, and prove that resilience is all around us. I’m grateful for the generosity that allows people to share their stories. And am walking through the airport in a different way right now – wondering what stories these thousands of people, heading someplace or another, carry. Former (and first) President of the Czech Republic Václav Havel tells a little story that may provide a little guidance in these times. In 1989, only a few months before he completed an incredible journey from prisoner to president of his country, Havel found himself in a dire situation. The dissident poet and playwright turned politician, who had risked his life numerous times in the fight against communism, was walking with a friend in the countryside outside of Prague. In the near total darkness, he suddenly fell into a hole, a deep pit surrounded by cement walls – a sewer. Disoriented and covered in muck, Havel tried to move but this only made him sink more deeply. His friend above was joined by a number of people who gathered around the rim of the hole and tried frantically to rescue Havel. It was only after someone managed to find and lower a long ladder, nearly thirty minutes later, that Havel was saved from an untimely and messy ending. From this freak accident, Havel climbed not just to dry land, but to the presidency, a truly amazing turn of events. Having lived through a number of seemingly hopeless circumstances, Havel continues to be a profoundly hopeful man. He sees hope as a state of mind that most often does not reflect the state of the world. Hope for him emerges out of the muck of absurdity, cruelty, and suffering, and reaches not for the solid ground of what is certain, but for what is meaningful, for what fundamentally makes sense. Hope, in his view, is not the same as optimism. It’s not the belief that something will ultimately work out, but that it feels true in a very essential way, beyond what is relayed in headlines, opinion polls, and prognostications. Obviously we are now faced with circumstances that demand some faith on all of our parts. With the uncertainty of a volatile economy and a swirl of other forces, there is plenty to be pessimistic about. And if we consider Havel’s story, the antidote is not to be optimistic in the sense of desperately looking for something that tells us everything will be alright or return to being as it was. Rather, the more powerful response comes from within and attaches itself to what most deeply motivates us, what tastes most like truth. Peter Forbes of the Center for Whole Communities has said that, “New culture is formed by people who are not afraid of being insecure.” That may be the promise of this slowdown, if we can quiet the chatter, avoid panic and attune ourselves to what is waiting to grow out of the cracks in the foundation. The question is, in following those roots, how deep are we willing to go?